Detail : Paul's tenth solo single. 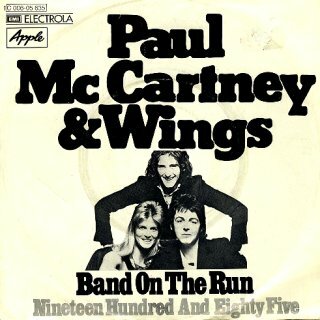 Credited to "Paul McCartney & Wings"
This incarnation featuring : Paul, Linda, and Denny Laine. With the album still riding high in the chart, public demand forced the release of another track as a single. This time, the title track. 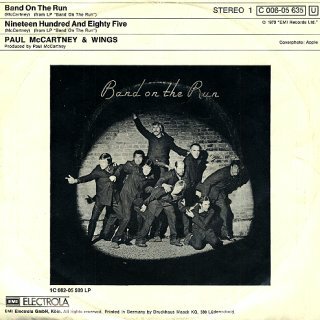 Up to the this point in Paul's solo career this became his top selling single, selling over two million globally. The B-side was written by Paul as the theme tune for John Mills' early 70's T.V. series called "The Zoo Gang". 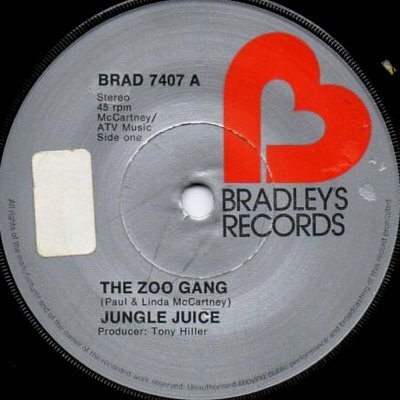 There was also an issue of this track on 25th May 1974 as an a-side by "Jungle Juice" on Bradley (as above), but nothing to do with Paul. 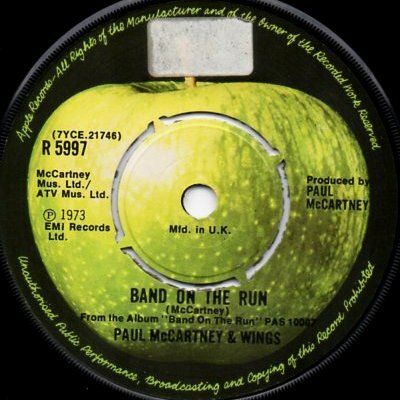 The single was not released in a picture sleeve, and once again featured the standard Apple. Below is an German Import copy, I bought this for two reasons. one of my favourite tracks from the album on the B-side, a track not released on a single here.